Tom Loratta and Tony L. Pinkert are both perennial Top 100 producing real estate agents in the state of Hawaii. They formed Pinkert & Loratta as a team brand within Elite Pacific Properties and specialize in real estate sales at Hualalai Resort as well as the other most exclusive Kona-Kohala resort properties of Hawaii Island. The partnership with Elite allows Tom and Tony to utilize Elite's cutting edge technology, marketing, and promotional programs. Elite provides flexibility and innovation along with domestic and international reach that other brokerages cannot match. "We love making the deal and delivering something really special to our clients. Owning property in Hawaii is like owning a piece of paradise for you and your family to enjoy. Very few have this unique opportunity." With nearly 30 years of combined experience at Hualalai Resort and more than 60 years of overall real estate experience they have garnered a superb reputation and unrivaled experience. Jim and I just wanted to send a quick note thanking you for the great job and quick sale on our villa at Hualalai. Our friends can’t believe how quickly our villa sold and frankly, neither can we. You did a great job of marketing, getting clients out to look and then the best part…follow through! We are very happy we used you and Elite Pacific to sell our villa at Hualalai. Mahalo, Mahalo, Mahalo! Gratefully, Jim and Robin U. We will always deeply appreciate how Tom and Tony marketed our house so effectively and with your knowledge and advice you are in a class of your own. 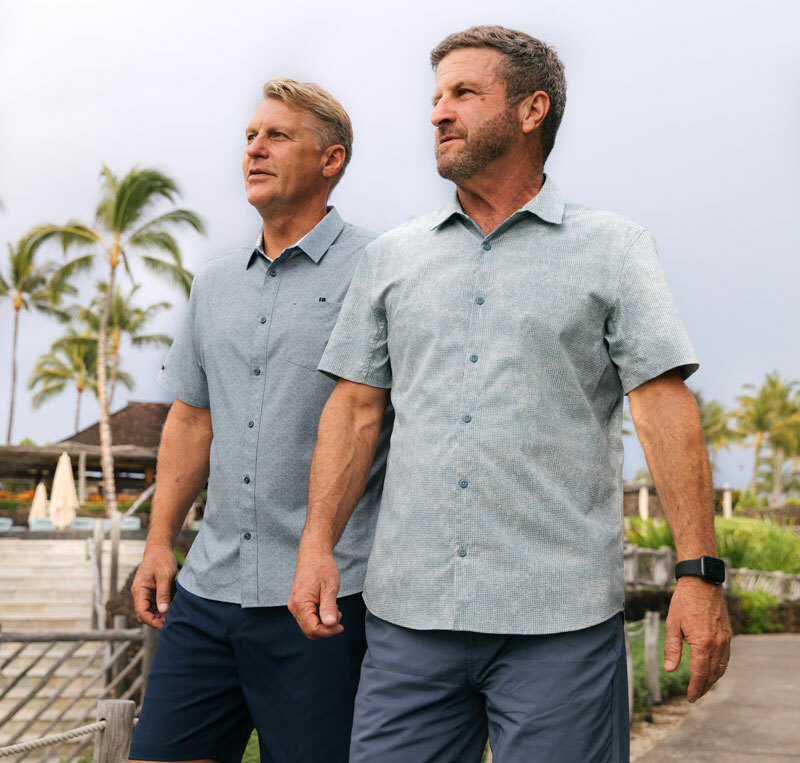 We began working with Tom & Tony in 2009 because of their knowledge and expertise of the Hualalai community and its properties. Our experience was very positive so we've remained in close contact and in 2017 we used them and their new brokerage, Elite Pacific Properties, to represent us in both the sale of our home and the purchase of a larger home in the resort. Again, the transactions went smoothly and we had successful closings because of their patience and flexibility in handling the many details and complications. We recommend both Tom & Tony highly. We have known Tom Loratta for 15+ years and have the most wonderful, trusting, and professional relationship with he and his staff. We recently sold our beloved family Villa at Hualalai and it was a very emotional and heartfelt decision. Tom was there for us, from the beginning of the listing, to the very last day of escrow closure, ensuring a smooth and timely transaction, and additionally providing calm, professional, and loving communication between the buyer and seller. We were treated fairly and honorably. There is no one we would ever consign our business with besides Tom Loratta of Pinkert & Loratta and the very knowledgeable staff and partnership that go along with the decision to sell. Thank you, Tom, for making this sale an easy and carefree transaction. Text Please leave this field empty.